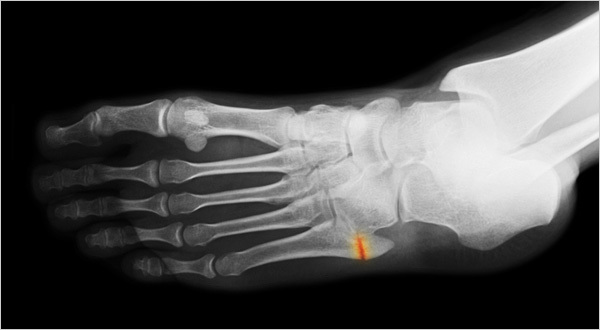 When Dr. Michael Joyner, an exercise researcher at the Mayo Clinic, heard I’d gotten a second stress fracture, high on my fibula, less than two years after recovering from my first one, in a metatarsal bone in my foot, he sent me some advice by e-mail. Right. He’s got to be kidding. I am one of those people who seem to lurch from injury to injury but keep coming back to my sport. I also am a serious cyclist, but running is my true love. I’m not alone. Margaret Martonosi, one of my running friends and an electrical engineering professor at Princeton University, is a runner and a competitive swimmer. Last year, she injured her Achilles’ tendon. She took a month off and finally saw a doctor, who told her that her running days were over and that at age 45, she really shouldn’t be running anyway. That was “a bit incongruous,” Margaret told me, because she had just had her best times ever in the New York marathon and in a half marathon she ran while training for it. What is the difference between Mike Joyner and athletes like Margaret or me? Or between us and the legions of others in the Joyner camp — people like Dr. Michael Weiner, an Alzheimer’s researcher who told me he used to run marathons but took up swimming when his back kept bothering him. Now he belongs to the Dolphin Club in San Francisco. He swims with them every morning at 5 a.m. in the San Francisco Bay — without a wet suit — and never looks back. Or Dr. Jason Karlawish, an associate professor of medicine and medical ethics at the University of Pennsylvania. He reluctantly abandoned running after he tore his meniscus, a crucial piece of cartilage in the knee. “I was frankly demoralized that I’d be one of those people who ‘used to run’ and athletics would slowly become part of my past,” Jason said. It took time and effort to learn a new sport, he added. But now he loves swimming, especially, he says, the meditative aspect. “For 45 minutes, I can see little, hear only my thoughts, and talk to no one.”. At least one expert, recommended by the American College of Sports Medicine for this column, would say we stubborn athletes have a psychological problem. Our behavior, said the expert, Dr. Jon L. Schriner, an osteopath at the Michigan Center for Athletic Medicine, is “compulsive”: we let our egos get in the way, persisting beyond all reason. But another expert recommended by the college, David B. Coppel, a clinical and sports psychologist at the University of Washington, has another perspective. There are several reasons some people find it hard to switch sports, he told me. Often, their friends do that sport, too; it is how these people identify themselves, part of their social life. And then there is another, more elusive factor. Jennifer Davis, a physical chemist who is my cycling, running and weight-lifting partner, adds another reason. Often we stubborn athletes — and Jen, an ultra runner who competes in races longer than marathons, includes herself in that group — have found that we do well, get trophies, win at least our age group in races. That makes it hard to stop. My doctor, Joseph H. Feinberg at the Hospital for Special Surgery in Manhattan, says it’s not always necessary to give up a sport because of injuries. He knows what it’s like to have a passion for a sport. Dr. Feinberg, a runner, swimmer and cyclist, has had two stress fractures yet keeps running. I too am starting to run again. I also did so much rigorous bicycling when I could not run that I am considering entering my first bike race, a 35-kilometer time trial, which means you ride as fast as you can for 21 miles. But running is still my passion. And Mike Joyner? He went from running to swimming and is now doing triathlons. And he’s glad. Margaret understands that — her swimming times had leveled off, but with running, she says, “I feel in ways like I just started, and that I have a lot more to get out of the sport.” She says there might be a day when she gives up running, but she is not there yet. But Mike will never convince people like Jen and me. A version of this article appeared in print HERE on August 17, 2010, on page D5 of the New York edition.